RIW is pleased to announce that Kevin S. Freytag has joined the firm as an associate in the Litigation, Commercial Real Estate, and Construction Law Groups. 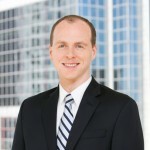 Kevin’s practice is focused on the resolution of complex disputes in the areas of construction, real estate and commercial law. His practice includes the representation of developers engaged in affordable housing projects under M.G.L. c. 40B. Kevin has appeared in courts throughout the Commonwealth and has successfully tried cases to verdict before judges and juries. He has also effectively represented clients at the Appellate Tax Board as well as the Massachusetts Appeals Court. Before entering private practice Kevin spent 5 years at the Norfolk County District Attorney’s Office where he prosecuted cases in the District and Superior Courts.